A.J. Cole allowed two earned runs on three hits and two walks in a no-decision against the Atlanta Braves on Wednesday. He struck out five. 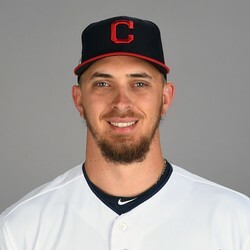 Wednesday's performance was a far cry from Cole's first start of the season when he allowed ten runs and could not get out of the fourth inning against the same Braves squad. Both runs this time around came on solo home runs to Ozzie Albies and Kurt Suzuki. He is scheduled to start against the New York Mets his next time out, though he may not be long for the starting rotation with Jeremy Hellickson nearly ready to join the team.